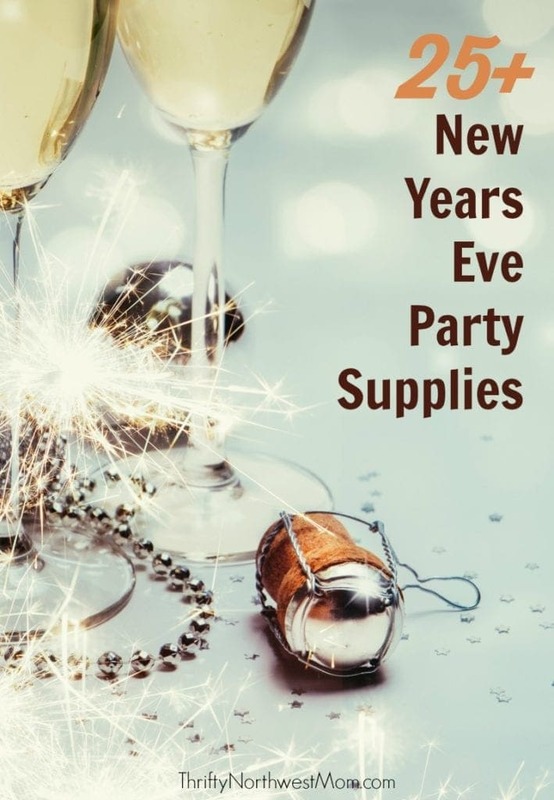 New Years Eve is quickly approaching and you may be debating about having a New Years Eve party for family and friends or you just want to have some special holiday supplies for your own family. It’s always fun to make it more festive with some fun party supplies! We threw a spur of the moment New Years Eve party last year for friends and had a blast with a fun game night for the kids and adults. I ran to the Dollar Tree the day of the party & just grabbed some simple party supplies, but Amazon has a ton of ideas for you if you’d like to jazz it up a bit more or you want more options for decorating for a New Years Eve party. We’ve come up with a roundup of fun New Years Eve party supplies if you’re going to have a party this year, so you can order now & have it all arrive in plenty of time for your NYE party! These all include free shipping or free shipping if you have Amazon Prime. *Remember that Amazon prices can change at any time, as well as shipping prices. What are your favorite party items for a New Years Eve party?? Do you have any special traditions you like to do?